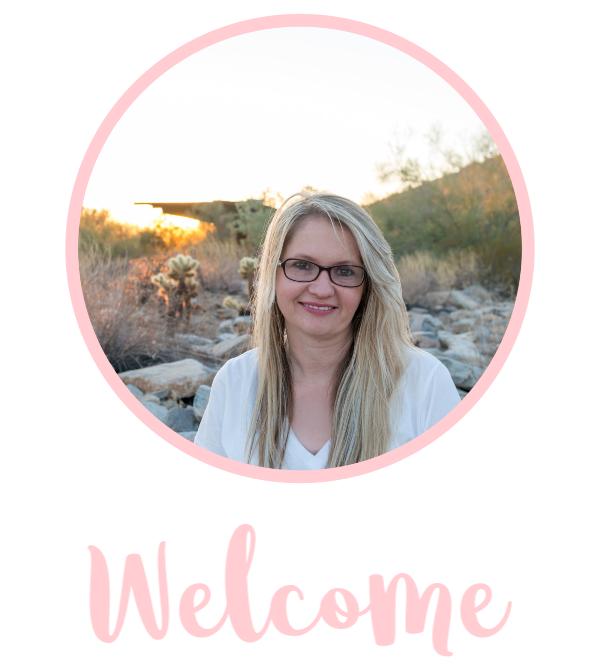 Disclosure: Thank you to Disney Social Media Moms for inviting us to attend the conference. While we did pay for our trip, it was offered at a discounted rate on behalf of the conference and the sponsors. All opinions are our own. For your convenience, we have included links that may be an affiliate link. When you purchase via these links, we will receive a small stipend. Thank you! 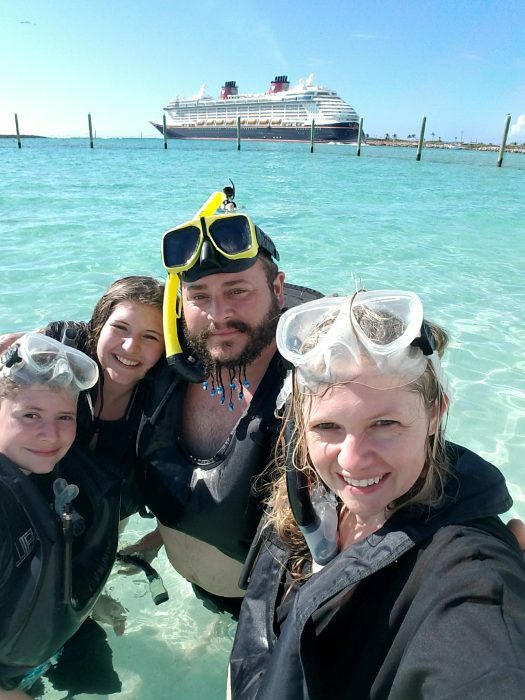 We recently returned from a trip to Castaway Cay via the Disney Dream. 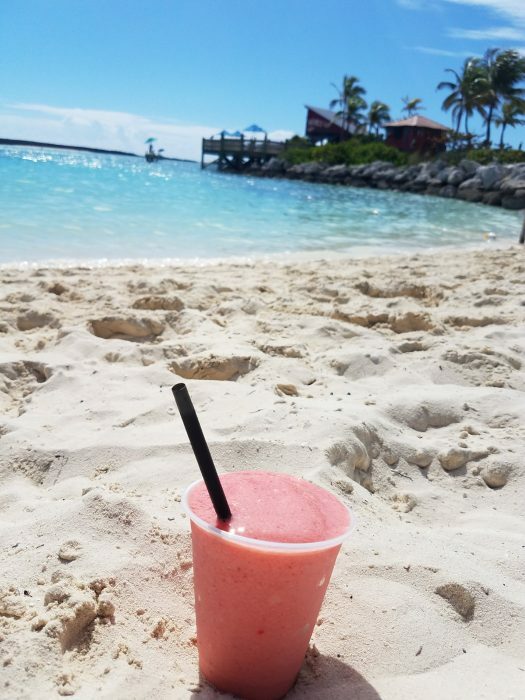 Castaway Cay still remains at the top of my reasons to take a Disney Bahama Cruise! 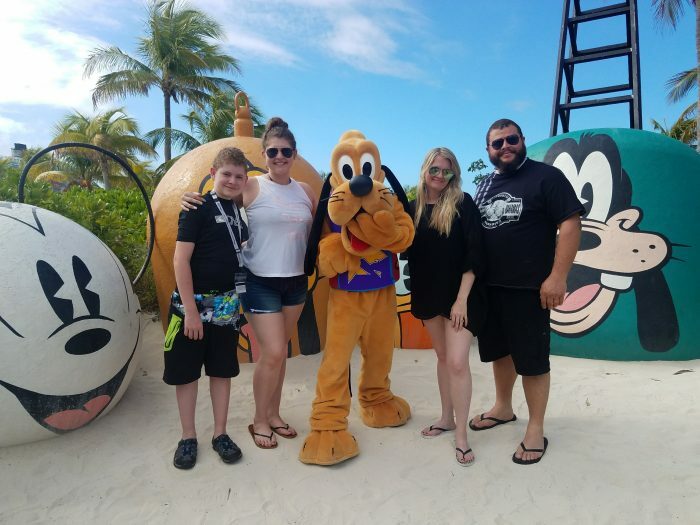 If you haven’t read our Disney Cruise Tips post, please be sure to read all of our reasons why you should take a Disney Cruise! Castaway Cay is Disney’s private island in the Bahamas. 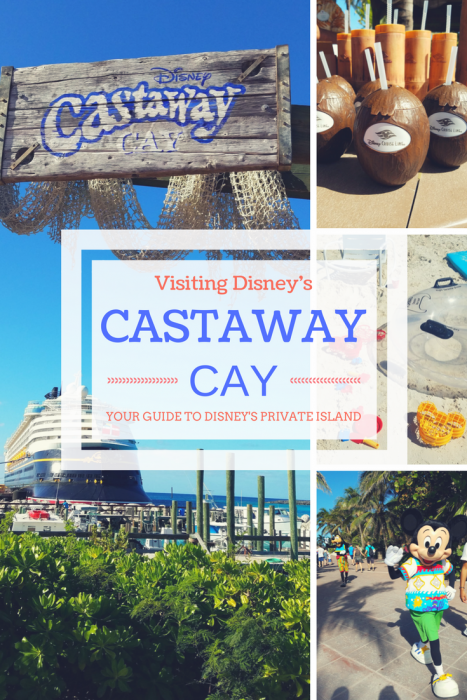 Yes that’s right, only people that are on a Disney Cruise or Disney Cast Members are on Disney Castaway Cay Island! The visit to the island is included on specific Bahama itineraries at no extra cost. FREE food – Cookies BBQ and Cookies Too are the free buffets you can visit on the island. 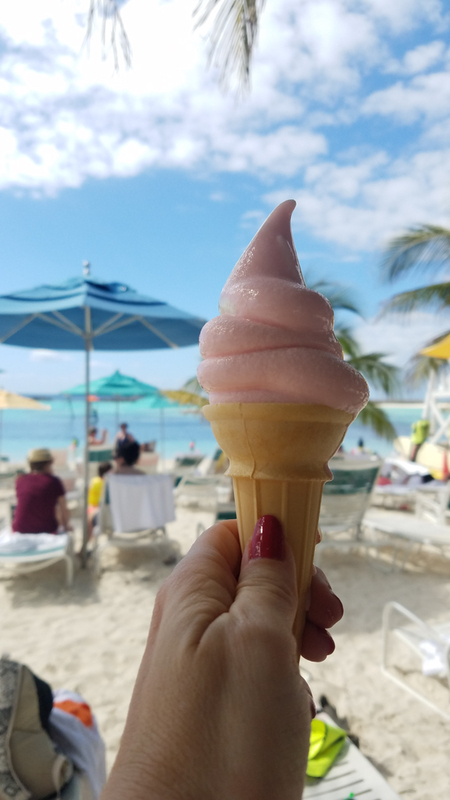 Unlimited free ice cream – yes, they have delicious soft serve ice cream on the island! White sandy beaches and beautiful water – the views here are truly incredible. Hammocks – this is a great place to just relax. 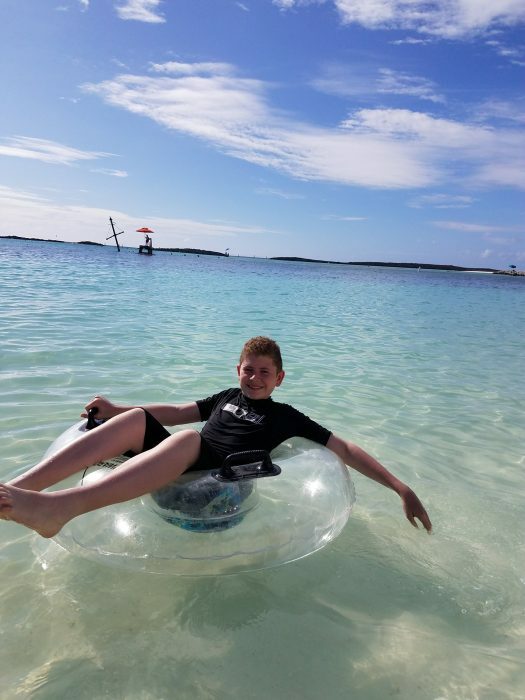 Fun excursions – check out our list below on the fun activities Castaway Cay has to offer. 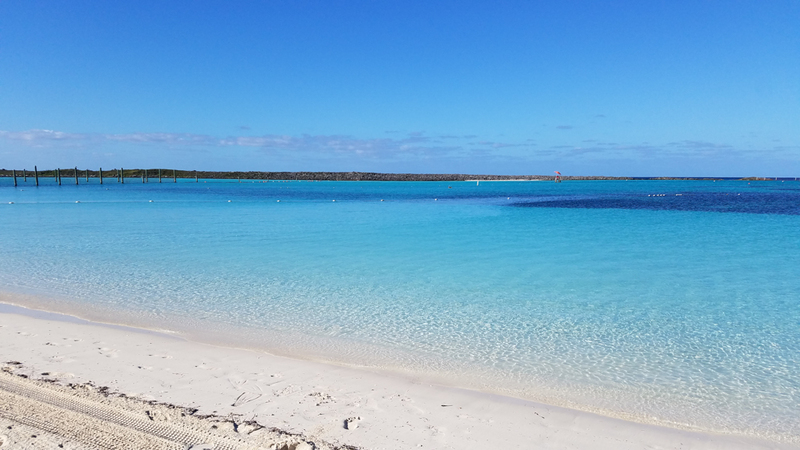 While the Castaway Cay excursions do cost extra, we feel they are very much worth it and very reasonably priced. We have done the snorkeling, the tube rentals, the bike riding and the stingray adventure. Here are some of our pictures and check out our Stingray adventure video! Bring Safe Sea – this helps prevent sea lice and jelly fish stings. 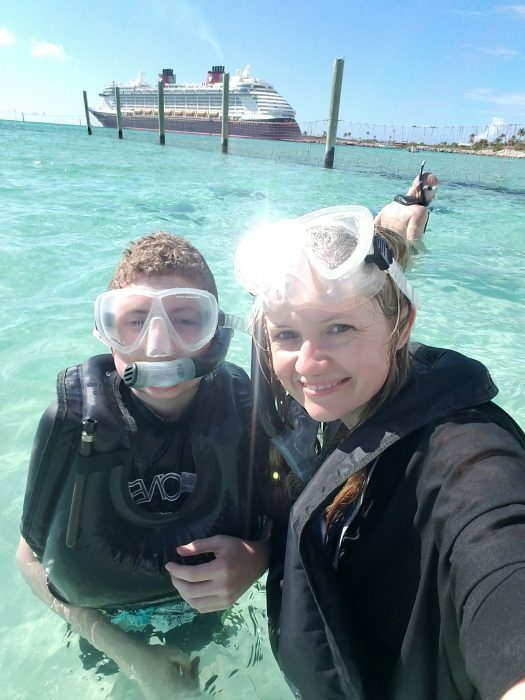 The first time we went to Castaway Cay we were surprised to see so many jelly fish! My son also got what we think was sea lice on his chest area so we brought this the second time and it worked great. You can get this on Amazon Prime here! They have towels so you do not have to worry about bringing your own. There are showers and bathrooms if you wish to change before heading back onto the ship. You can bring your own snorkel gear if you want but make sure to grab a yellow vest (all snorkelers need them). You only get 8 hours on the island, make it count (trust me, you’ll want to spend as much time there as possible). Pack bottled water in your bags or bring cups for water as the bottles of water do cost money on the island. Get off the ship early to get a good spot to hang out all day. We found a group of chairs under the palm trees and it was perfect! Don’t worry though, there are plenty of chairs for everyone. TIP: There are hammocks throughout the island too! However, please don’t put your items on them to hold them if you don’t plan on using them immediately. TIP: If you sail on the Magic or Wonder, your cruise will be smaller and that means the island will be less crowded! Save some room after breakfast for a delicious BBQ lunch at Cookie’s! The restaurants are open typically from 11-2PM. Look for the ice cream machines where you can fill up on unlimited ice cream! The drinks were very reasonable in my opinion so be sure to grab one or two while you are there. No need to bring cash, you charge everything to your room. TIP: You can order it right from your lounge chair as they do have people who walk around asking you if you would like to order a drink. Look for characters you can take photos with right before you hit the main beach. You can easily walk the island but there is a tram that makes stops at the main beach, Pelican Plunge, and Serenity Bay. Rent a bike! 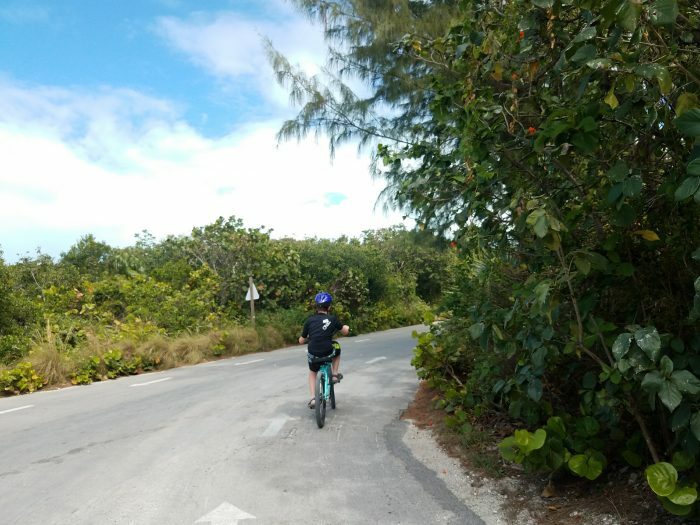 You can easily bike the island in less than an hour. Plus you get to climb the observation tower and bike to lookout point. Mail a postcard from the island! Look for the post office right after you get off the ship. Rent a cabana where you can hang out all day and relax. TIP: You’ll want to reserve this well as soon as you can book activities for your trip because they do book quickly! 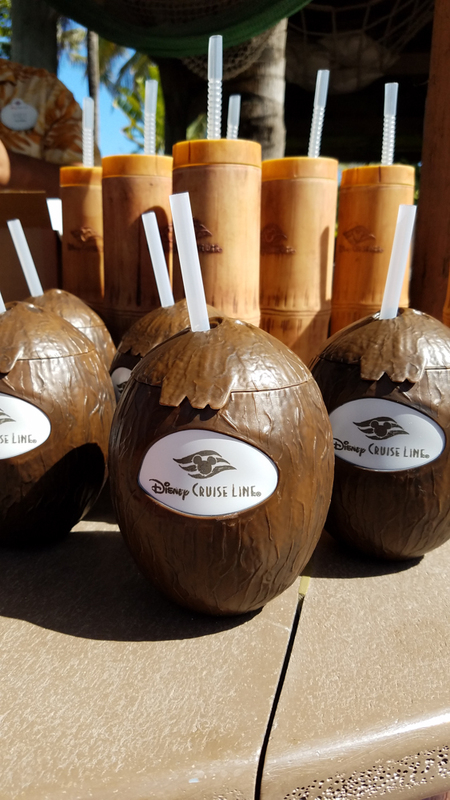 Sign up for the Castaway Cay 5K! Signups are free and happen when you get on the ship. You’ll even get a cool “medal” at the end. The water can be chilly in the off-season and there aren’t any wetsuits for rent so if you get cold, bring your own! I have found that there are some tops for $50 and under on Amazon. Just a note that your time will go by fast when you are on the island so make sure you make the most of it! Unfortunately the stop is not guaranteed because as with all port stops, weather could effect if your ship docks or not. But don’t worry, even on the ship you will still have an amazing time! One question I have seen a lot of is “Can I visit the island if I don’t go on a Disney Cruise”. 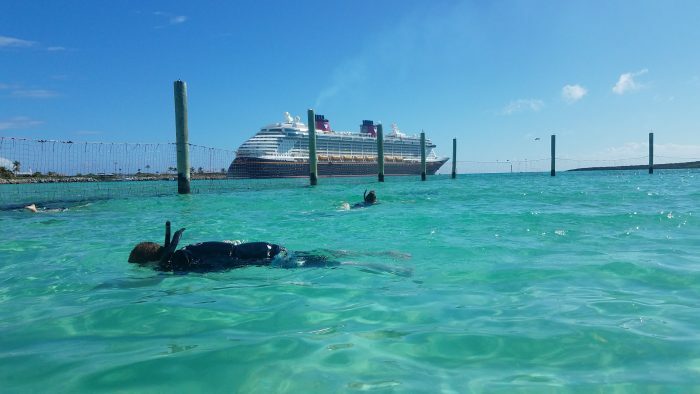 Unfortunately there is not a way to visit the island without being on a Disney Cruise. 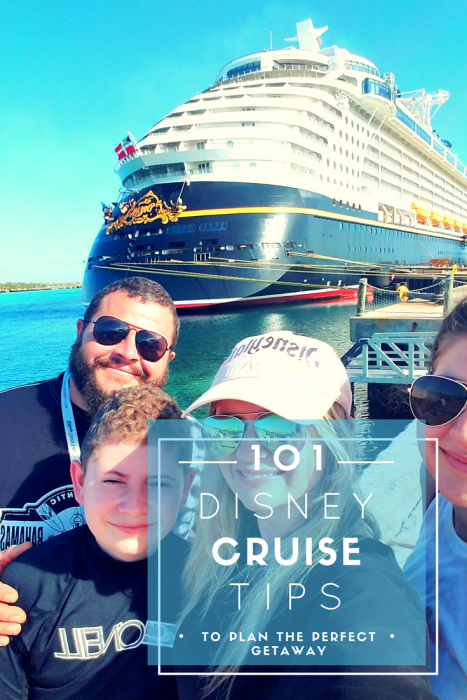 If you haven’t been on a Disney Cruise, be sure to check out our reasons and tips for sailing on one!